« Courier picked to replace P. McEnroe as Davis Cup coach. From M. Thanks. By the way TP it’s my birthday (big one) on thursday the 29th, could you post me a nice picture of Roger and his lovely hair? Hi TP, for my birthday on oct 29, could I ask which YOU consider being the best match of the year 2010 so far, my choice could have been Ferrer-Federer in Madrid, I forgot, was it that good? maybe not… But which is yours? This entry was posted on October 29, 2010 at 1:57 am	and is filed under Happy birthday. You can follow any responses to this entry through the RSS 2.0 feed. You can leave a response, or trackback from your own site. Happy Birthday Ricky! Nice picture of Roger! Happy Birthday, Ricky! Enjoy your spoecial day. Happy Birthday, Ricky! Have a great day. thank you all! It’s a great day, not much tennis going on though… More time to do other things like cake eating, friends and stuff- Thanks a lot TP, for the double post and such nice pictures, I’m sooo lucky!!!!!!!!!!!! have a great birthday Ricky! 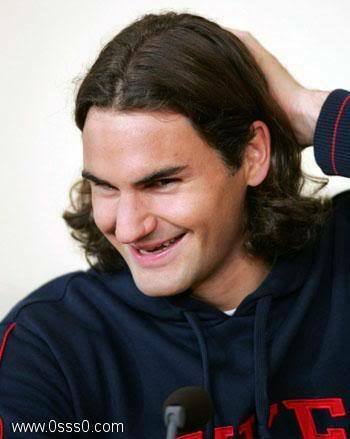 Marvelous pictures of Roger I must say! Wow Roger’s looking so good in the 2nd one. Happy Belated Birthday Ricky! I’m wondering which ‘big’ birthday it is for you. After my next ‘big’ one, I’m gonna start counting backwards! Happy Birthday, Ricky! Have a wonderful day. LOL I’m biased, any vid with two of my faves is fine by me! Happy Birthday, Ricky! Wish you have a great day. Loved that second photo of Roger. Well, Ricky, I hope you were happy with the hair photos… I loved his hair floppy. I hope you have a really nice day. Happy Birthday Ricky…….not to be confused with me….Ricke! Yes, we are two different people. My best to you on your special day!! Many more. thanks a lot to you all for these nice messages!